Why choose our Meeting Rooms in Manchester? What do you look for when you book meeting rooms in Manchester? A city centre location, perhaps, or an M1 postcode, but in fact these things can make your venue less easily accessible – and much of the city’s big business doesn’t take place in the heart of the city centre anyway. 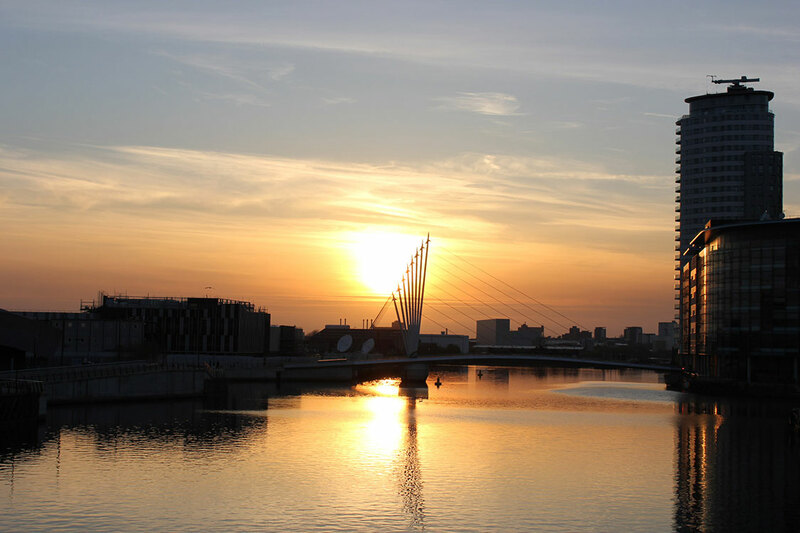 For a more welcoming meeting room in Manchester’s up-and-coming areas, look to our premises on Salford Quays, with a choice between a desirable M5 postcode on Exchange Quay and our stunning MediaCity facilities at Clippers House on Clippers Quay. Both offer excellent access via private and public transport alike, with Metrolink stops moments away, and are much more conveniently placed for the ring road when arriving by car along the M60 and M602. Why force your guests to navigate the awkward one-way streets of Manchester city centre, the ever-decreasing number of road routes that actually allow you to cross the central business district, and the practically non-existent free parking? Our meeting rooms in Manchester give you the spacious views of Salford Quays, looking out over the water, with well appointed interiors that include formal spaces for business meetings and comfortable, plush waiting areas so nobody is irritable by the time the meeting gets underway. And we’re easy to find on Google Maps, so there’s no need to worry about giving people directions to the venue – you can even take a virtual tour of our Clippers Quay interiors with Google StreetView ‘Photo Spheres’ of our reception areas and some of our meeting rooms and serviced offices. Ultimately your choice of the best meeting rooms in Manchester is down to what suits your business – for obvious reasons, a MediaCity meeting room will sound better on paper for companies in media, marketing and similar industries. But it’s worth taking a look at Clippers Quay and Exchange Quay on a map as, despite the very different M5 and M50 postcodes, they are just moments away from each other, either side of Trafford Road, and visitors using the Metrolink will get the Exchange Quay stop either way. Exchange Quay is perhaps the slightly easier to find, as we’re in the glass Imperial Court Building 2 right alongside Trafford Road, so there’s no need to navigate the roads of the Quay itself. On Clippers Quay, opposite our serviced offices and meeting rooms are in Clippers House, right on the spur of the Quay looking out over South Bay and the quirky local landmark Gnome Island – a definite icebreaker if one is needed! Having two locations in close proximity means we are doubly likely to have meeting rooms available in Manchester when you need them most – so if one address is unavailable, we may still be able to accommodate you just across Trafford Road. You may even want to book meeting rooms in both locations for different times of day – giving you a prime M5 postcode for meetings with a firm Manchester focus, before crossing the road to the MediaCity venue for discussions with broadcasters, producers, media and marketing clients. Comments Off on Why choose our Meeting Rooms in Manchester?